A White House staffer who is a whistle-blower told Congress that senior members of President Donald Trump‘s administration gave security clearances to at least 25 people whose applications had been rejected by employees for “disqualifying issues” that could put national security at risk, it was reported Monday. The whistle-blower, Tricia Newbold, reportedly works in the White House’s Personnel Security Office. Newbold informed the House Oversight Committee about the security clearances in a private interview in March. Among the 25 administration officials were two top employees and some contractors. Newbold has worked in the White House for 18 years. Although none of these 25 individuals are named, Jared Kushner — the president’s 38-year-old son-in-law and senior adviser — is suspected to be part of the group. Kushner’s top-secret security clearance has been a subject of much debate in recent months. Rep. Elijah Cummings (D-Md. ), the chairman of the House Oversight Committee, even responded via a statement to the White House’s decision to give Kushner the clearance, rebuking the administration for its lack of transparency in the matter that led to questions about whether proper procedures — including approval from top government agencies like the CIA — were followed to grant Kushner and others such high-level clearances. In February, the Times reported that Trump had ordered his former chief of staff John Kelly last year to give Kushner a top-secret clearance. “Over the last few years that I’ve been here, I’ve been accused of all different types of things, and all of those things have turned out to be false,” Kushner said Monday evening on Fox News when asked about Newbold’s allegations. 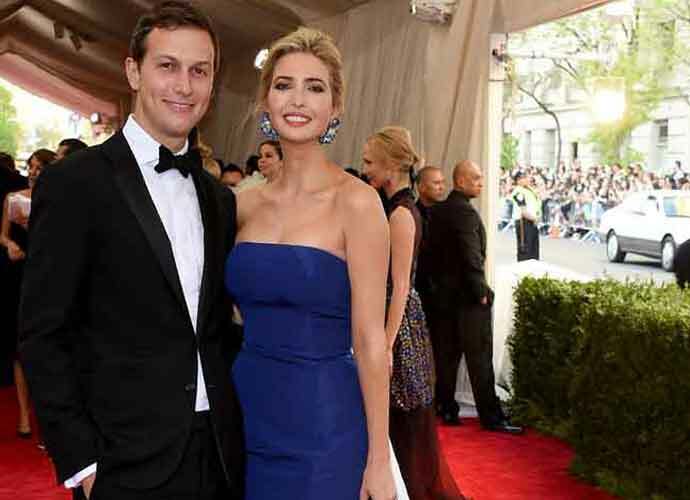 Questions have also been raised regarding the security clearance granted to Ivanka Trump, the president’s daughter and Kushner’s wife who is also a senior adviser to her father. Ivanka told ABC News earlier this year that her father played no role in either her or Kushner receiving clearances. Cummings said he was prepared to authorize subpoenas as soon as this week in order to force the Trump administration to comply with an investigation into whether national security was ever at risk. Newbold also reportedly filed a complaint with the Equal Employment Opportunity Commission — alleging she was discriminated against for her height — and was suspended for two weeks in January for “failing to follow new office policies.” However, she told Congress she believes her suspension was made in retaliation for her E.E.O.C. complaint.